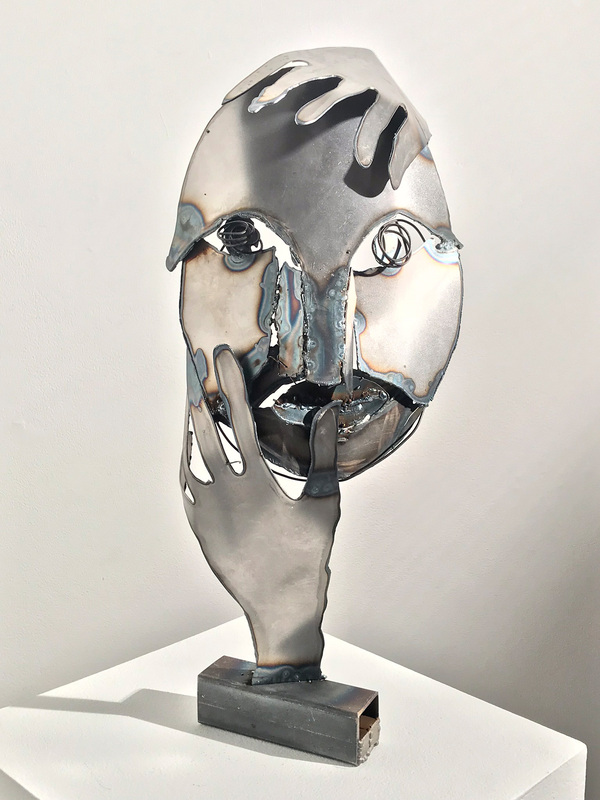 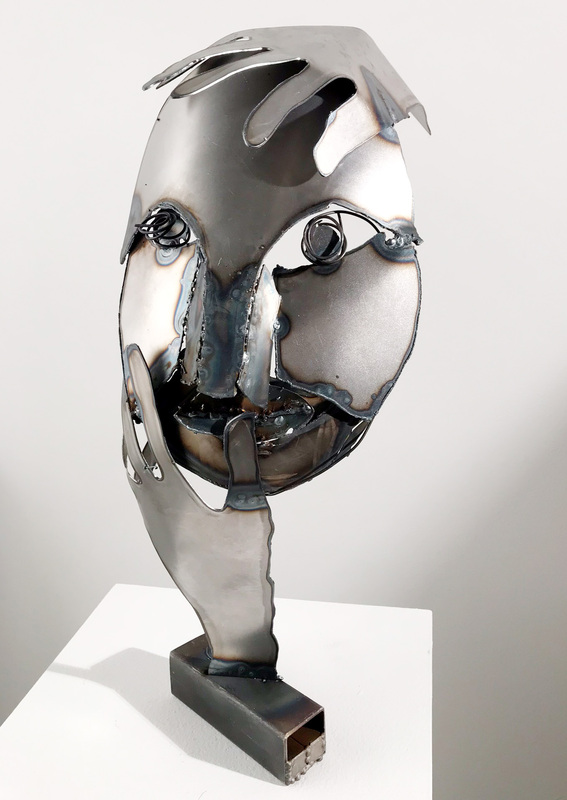 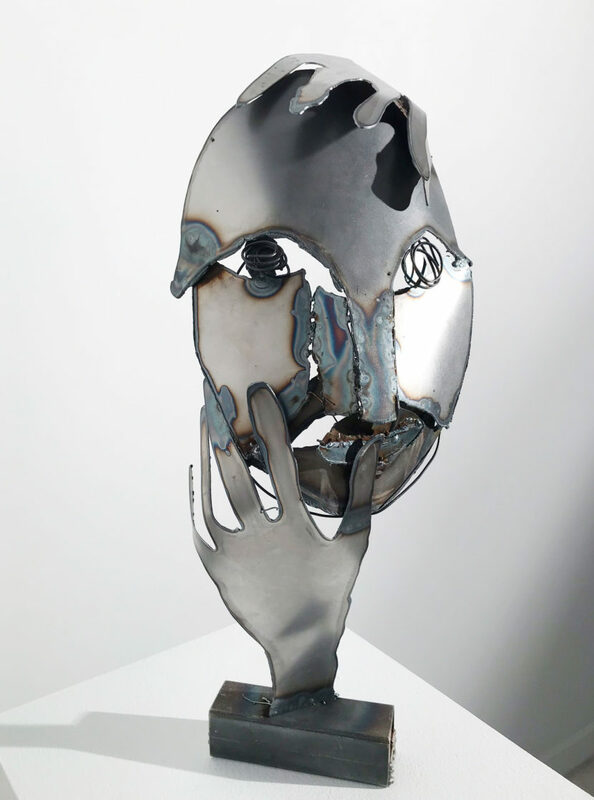 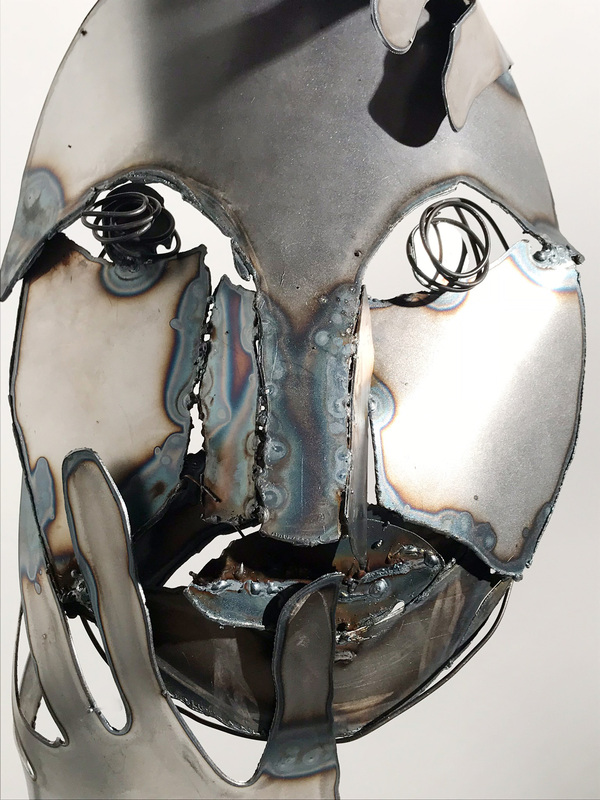 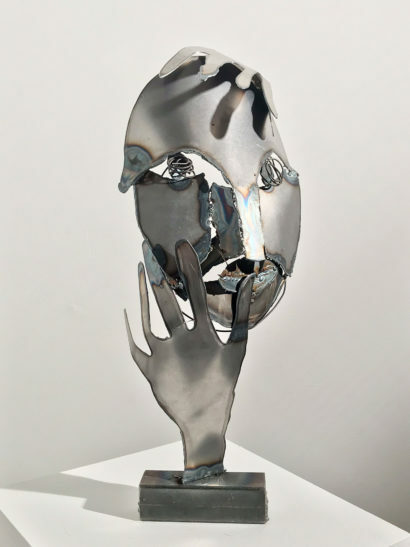 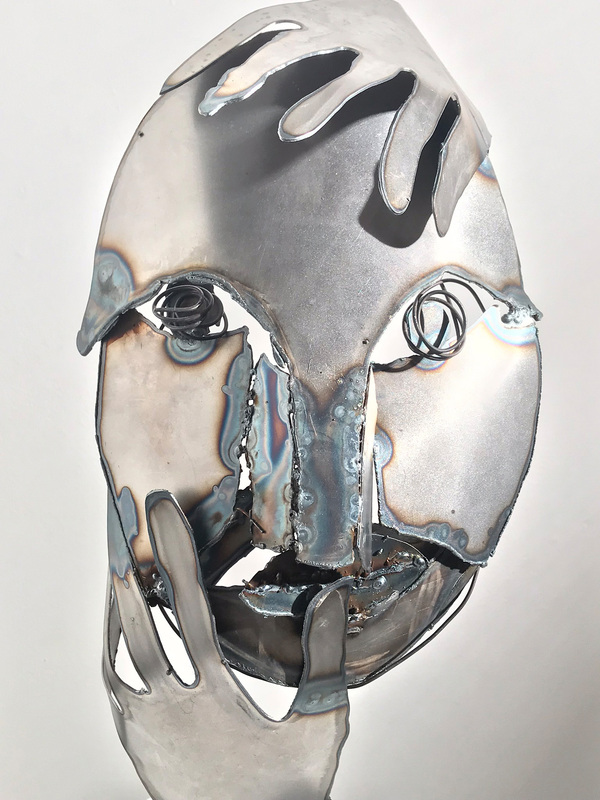 “Antigone” is sculpture made of steel, plasma cut and welded by the artist. The work is inspired by the tragic hero of Greek mythology, Antigone, daughter of Oedipus and his mother, Jocasta. She is considered a tragic hero because she sticks to her beliefs in the Gods and family and dies because of her loyalty to them.